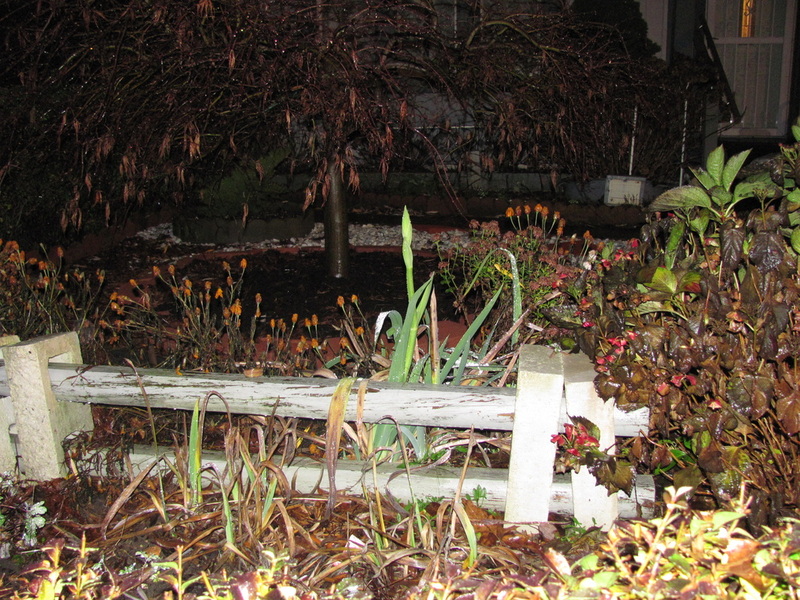 2011 was a tremendous year for City Rising Farm and the Blaine Avenue Community Gardeners. With the help of our community partners and supporters we were able to accomplish some incredible things. Grew over 1000 lbs of fresh food that was used by our gardeners and residents, at community events, and as community engagement and educational opportunities. There were so many opportunities for us to learn about ourselves, our neighbors, and other people doing great things in urban agriculture and community building in Northeast Ohio. It was certainly a pleasure to meet and work with so many wonderful people! The smiles on the faces of the people in our photo gallery are result of all of your support. We are grateful for the support we have received, humbled by the exposure of our work and we pledge to continue to pay our good fortune forward! Our photo gallery link is listed below. A special thanks goes out to the following supporters and believers! There are times in our lives when we are faced with choices, forks in the road that challenge us in ways that may leave us broken. When we go down the wrong road is it possible to come back, get a “redo” so to speak? With encouragement and support from family, friends and community yes, it is possible to be rerouted onto a positive path. It might be more difficult but it can also be very rewarding. The ladies of the Northeast Pre-Release Center Horticulture Program are making the most of their second chance by giving back to the community. 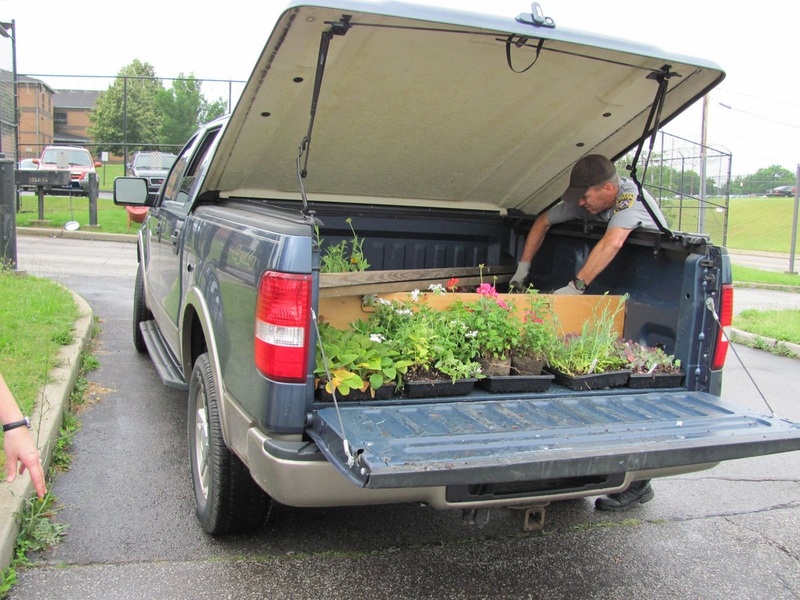 The program provides the education for the ladies to obtain their ONLA Ohio Nursery and Landscaping Association certification while they are completing their time. Through this program the ladies continue their education not just in a book sense but also in terms of learning to contribute to their community in positive meaningful ways. City Rising Farm and many other organizations in the Greater Cleveland Community have benefitted from their contributions of fresh produce to community pantries and plant starts from their greenhouse. We are now proud to present another of those contributions; The Northeast Pre-Release Center Garden Design Contest. The ladies under the supervision of their fantastic instructor Dave Eames have stepped into new territory. Although in their first year of horticulture education the ladies have created four designs for the Blaine Avenue Community Garden. Each is unique and absolutely wonderful for our site, so much so that we couldn’t decide. That’s where all of you come in. Please use the link below to go to the web page that has all of the designs. Take a look at all of them and then vote for the design you like best. The contest will run from January 1 through March 31 2012. The winning design will be inplemented at the garden and a schedule of work days will be posted for anyone that would like to participate in the hands on part of garden transformation. DON'T FORGET TO VOTE! The link is below. Happy New Year and great gardening! 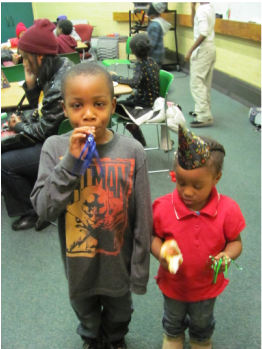 Emerging Leaders New Year's Eve Party at the Hough Library! Our youth are the future in our neighborhood. Nurturing their leadership skills at every age is vital to the health of our community. City Rising Farm and the Hough Library work together to provide educational and fun activities for our youth. 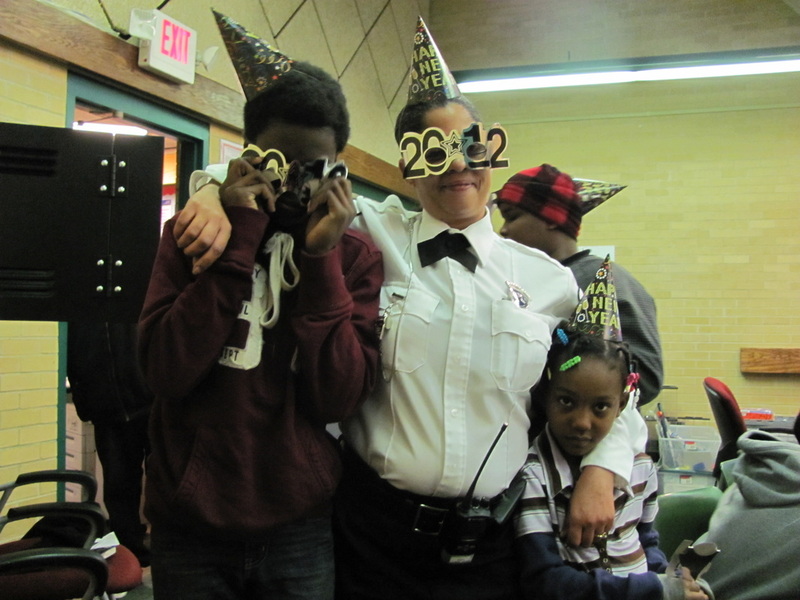 We closed 2011 with a New Year's Eve Party that included food, (Thanks to Mrs. McGregor for cooking up the hot dogs for us! ), fun, New Year's resolutions, the countdown and a sparkling grape juice toast to the New Year!! There will be lots more fun to come in 2012!!! Who knows maybe we will make our own sparkling grape juice for the 2013 toast! Sowing Seeds of Inclusion and Self Sufficiency!! City Rising Farm, our Blaine Avenue Community Gardeners, and our Hough Library community partners are presenting Souper Saturdays a series of workshops for youth and adults on the second Saturday of each month from January through June. Topics include but are not limited to agriculture, gardening, and community building and are free. 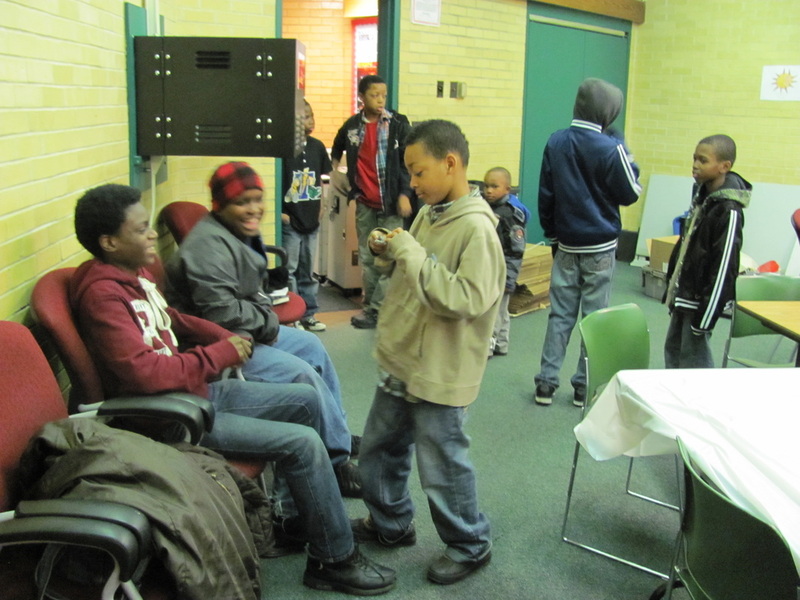 Our inaugural Souper Saturday is January 14, 2012 during the Martin Luther King, Jr. holiday weekend. In keeping with his message our first workshop is Sowing Seeds of Inclusion and Self Sufficiency. Join us for the for lots of fun, information and friendship! The workshops will take place at the Hough Branch of the Cleveland Public Library located at 1566 Crawford Rd., Cleveland, OH 44106. Please RSVP to info@cityrisingfarm.com or 216-376-3640 so that we can be sure that we have enough supplies for all who would like to attend.